Anne E. Ferguson graduated in Printed Textiles from Glasgow School of Art, where she subsequently taught for over 20 years. Colour and pattern have been key elements in her textile work throughout her teaching career and design practice. 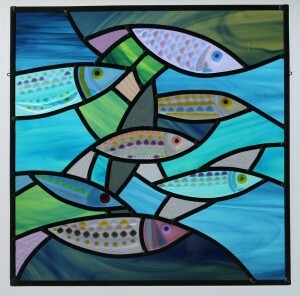 Several related paths have been explored throughout that time and Anne has been working in stained glass since 2003, running glass workshops all over Scotland, including Orkney and the Western Isles.